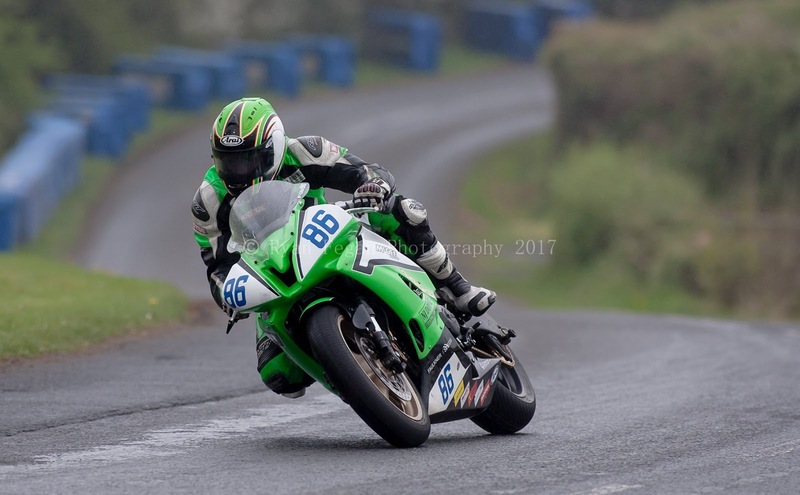 Derek McGee interview - Mullingar Missile ready for road! AQ: A fine start to the season Derek, how’s it been for you? 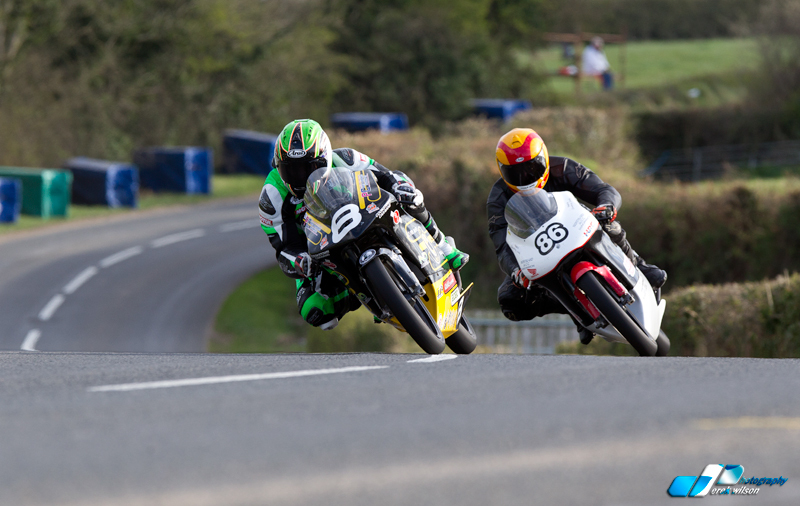 DM: The win at Tandragee on the 600 was great considering last year’s mechanical issues there. We spent a good bit of time over the winter working on that and seem to have got on top of it. I’m really happy with the ZX10, MSS have done a brilliant job on it. For the Open race I went out a fairly base setup and was happy with 3rd then was looking forward to the Grand Final after making a few changes. But, unfortunately with the way the weather went, we didn’t get out to try it. Also got to run the 650 after not having it last year and was running 4th on it and really very comfortable on it straight away but, again the weather let us down. Then came Cookstown and apart from not getting a win, it really couldn’t have gone better! Coming away with five 2nd places was brilliant. Made a few changes to the ZX10 and every change we’ve made has been positive and worked well for us. 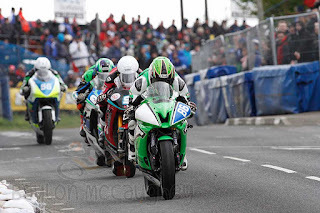 The two Supersport races were really close and I had a great dice with William Dunlop, Jamie Cowton and Adam McLean. Same with the 650, had it on pole and really enjoyed it even though James nicked it on me on the last lap! AQ: The Joey’s Bar GP125 is a terrific looking bike. How did that come about? DM: Well I’ve always wanted to race a 2-stroke 125 or 250cc and especially a GP bike, since I went straight into racing a 600! So we just contacted Gary and he was delighted that we had in an interest in it. 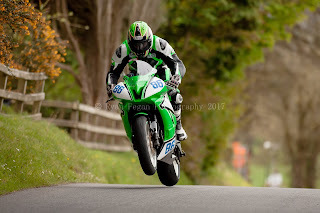 So we got her out in Cookstown last year and really enjoyed riding it. Gary has spent so much time over the winter on it too, that I’m really looking forward to riding it at Skerries this weekend too. It’s a brilliant little bike. AQ: Skerries, Walderstown, Faugheen and East Coast Racing are up. Any favourites in that list? DM: Well Walderstown being my home track is always great but, Faugheen has been really good to me over the 2 years. 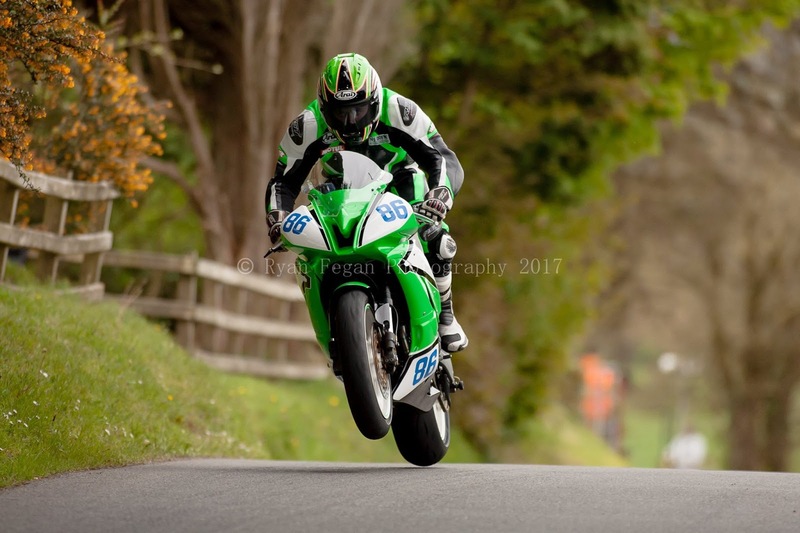 Got my first Superbike win there last year and got “Man of the Meeting” the year before and there’s something about the atmosphere down there, ah I don’t I just love going down there! Can really relax and enjoy the racing down there. Ah everyone is so friendly down there too; well all the Clubs are really friendly! AQ: Do have a preference of the 4 bikes? DM: I don’t really have a favourite being honest but, I do love the 600 a lot. But I do love riding them all. I mean the 125 is amazing the way it steers and handles and the way it goes into a bend! Then the 650 isn’t overly fast, you can enjoy it that bit more. Then the 600’s are great, love the 600 class and the ZX10 at the minute is just a joy to ride, I’m really very comfortable on it but, honestly I don’t mind which one I’m getting on! AQ: WSBK and MotoGP are you a fan? DM: Ah yeah, I’m always catching up on the internet with the racing but, don’t really mind which of the two I’m watching. Really happy with what Johnny Rea is doing at the minute though and would love to see Eugene Laverty back up near the front as he has the ability without a doubt. And then in MotoGP still loving what Rossi is doing at his age and the motivation that he still has, especially now after Assen! AQ: Well thanks for your time Derek, it’s been great catching up and best of luck over the next few weeks. I’ll speak to you again soon after Skerries! DM: Ah thanks to all my team, Noel Doyne, Signature Orthopedics, Xtreme Engineering, Dungannon Plant Sales, RST Motodirect, Eirtrans, Roddy, Jude and all that help me along the way and to all my fans that stop by the tent at the races cheers!